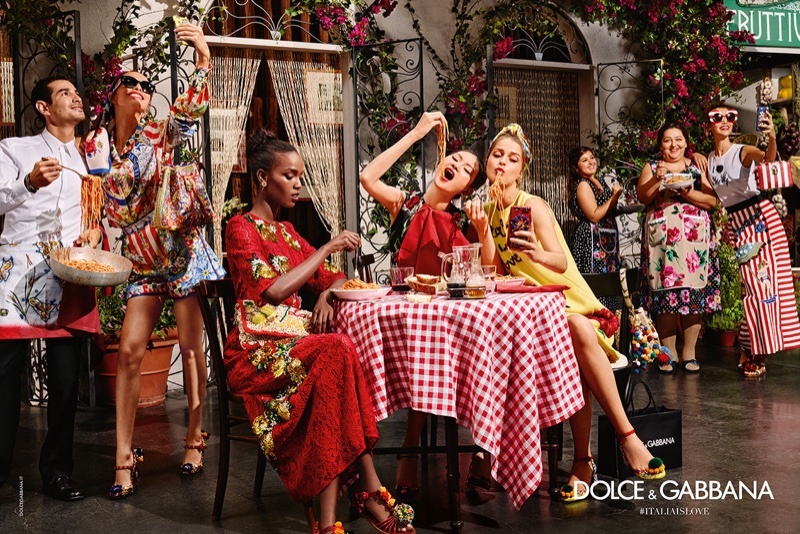 Luxury Italian fashion label Dolce & Gabbana highlights the spirit of Italy with a bold and colourful campaign for the Spring/Summer 2016 season. A vivid and bold array of images featuring a bundle of models including Luma Grothe, Leila Nda and Pauline Hoarau present the latest from Dolce & Gabbana which stays true to stunning prints and mesmerizing hues. 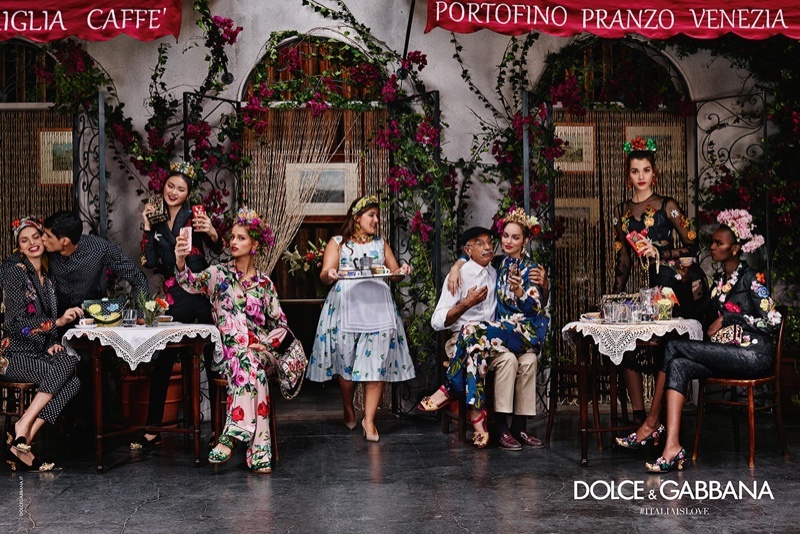 The new campaign celebrates Italy with pretty little cafes soaking in sunlight, with the models taking selfies, buying fruit and enjoying spaghetti. 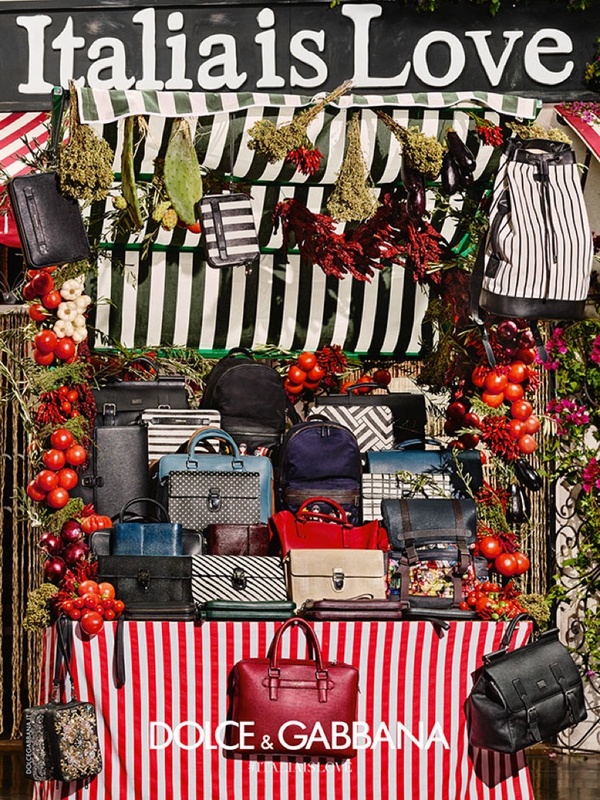 Nautical stripes, billowing shapes and floral prints dominate the campaign along with the stylish accessories and handbags Dolce & Gabbana is known for.